The talented track cyclist is seen as a future starter for New Zealand's team pursuit, using his mix of sprinting and endurance skills to full effect. Add his skills on the bike to those off it, namely his experience in representing New Zealand at international culinary challenges, and you can imagine there will be a fight to secure him in one of Cambridge's high performance flatting situations. Kergozou was one of the standout junior riders at the BikeNZ Classic and BikeNZ Cup international track meet last week, racing both sprints and endurance events. Next month he will race in the Yunca Junior Tour of Southland, and then he is looking to make the switch to elite racing. That will see him spend time training in Cambridge later this year, getting to know the elite coaches and his future elite team-mates. ''I'm looking at coming up in the next couple of months for training, and making a permanent move after Christmas,'' Kergozou said. ''We're looking at the team pursuit starter. After junior worlds, it's something I feel comfortable doing and looking to expand on. Kergozou showed off his full range of skills during the international track meet in Cambridge last week. He won gold medals in both junior men's scratch races, alongside wins in the sprint and keirin on the first two days. He then won silver in the Friday's elimination and Saturday's sprint event, and a bronze in Saturday's elimination race. On Saturday night Kergozou was riding almost non-stop during the night session, racing in the sprint final, the scratch race and the madison in the space of 90 minutes. Organisers had to reschedule several awards ceremonies because they couldn't find a moment when the 18-year-old wasn't on track. ''I thought about pulling out of the sprint, just because it take so much out of you,'' Kergozou said. That talent has certainly been noticed by the New Zealand coaches. Junior coach Ross Machejefski said Kergozou's mix of sprint and endurance is perfect for the starting role in the team pursuit. It could also see him do well in the omnium down the track. 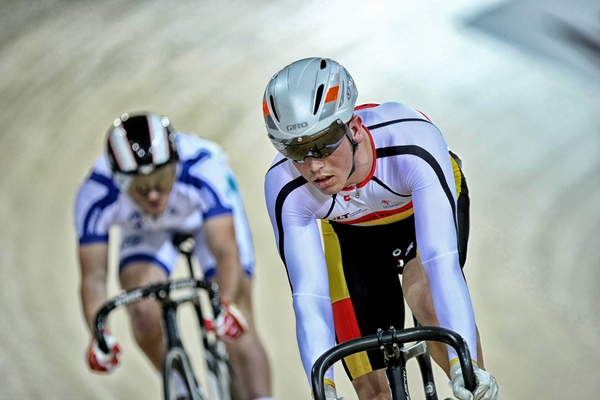 He finished sixth in the omnium at the junior world champs. ''For a while he was sprinting, and then he decided to give endurance a go and he did pretty well in that, so he ended up doing a mix of both in the omnium at junior worlds. Machejefski said if Kergozou puts his focus on starting the team pursuit, he will be a strong option for the lead up to the 2020 Tokyo Olympics. Kergozou is now focused on the junior Tour of Southland, and said he missed out on the event last year. On that occasion he was representing New Zealand at a cooking challenge in Japan, bringing home a silver medal for his efforts. ''That's why I've stayed in juniors for this event, so I can do the Tour of Southland,'' he said.